City of Arlington, TX on a Serious Mission? So, WHAT's the Big Emergency?? Interesting. 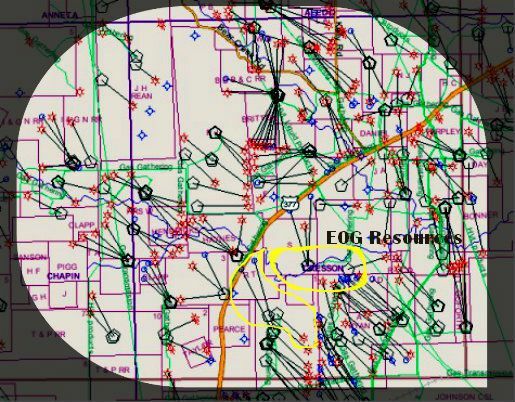 Apparently, this portion of the Agenda (as shown in the above video clip) is a Public Hearing to define the "drill zone" for the "so-called" (Mayor's words) Eden Southwest Drill Site because prior to these Modifications to the *Gas Drilling Ordinance* (XTO's Walter Dueease's words) no operator was required to define the drill zone in their plans. Oops. After a quick discussion, the Mayor asks about the homes outside 600 feet of the drilling zone. Outside? 600 Feet? Mr. Dueease tells the Mayor that they don't usually count that!! Oh, well. Yes. What? Then the Mayor and Mr. Dueease go back and forth about it for several more rounds! (Be sure to watch it.) The Mayor seems to confuse Mr. Dueease, (we know he confused us) but then neither one of them would acknowledge any confusion whatsoever. Kind of like when men get lost...you know how that works...they never ask directions!! Yeah, that kind of situation. So, neither one of these two men ever asked the other one to please explain it better ~ the train wreck in full motion right before our eyes, and wow, it's get out the popcorn time!! LOL!! **Update** You won't want to miss Mr. Dueease's featured role in the Temporary FRAC Pond saga on the Fish Creek Monitor. Click here. It was never going to fail. "In 1951, when it was built in Los Angeles, the Baldwin Hills Dam was hailed as a $10 Million Dollar State-of-the-Art Engineering Masterwork." According to the above video. shown on Australian TV in 2010, it started with a pencil-thin crack. Watch the video. The History Channel has done a magnificent job of detailing what happened on December 14, 1963 in Baldwin Hills ~ while our country was still recovering from the assassination of President John F. Kennedy. 5 people died. 65 homes were destroyed. 600 oil wells were located in the Inglewood Oil Field on the eastern edge of the Dam. And not only that, as the investigators discovered at the time, the oil was being extracted from these oil wells using a method of extraction that involved injecting water into the ground around the well at very high pressure. Back then, it was called, "pressurized extraction." Investigators concluded that seismic activity was the "hidden factor" in this dam's failure. This was 1963. In 2012, seismic activity has been an everyday occurrence around North Texas. Even yesterday (June 23, 2012), there was another recorded earthquake near Cleburne, Texas ~ the 3rd one in North Texas since June 5th. Moratorium on our Joe Pool Lake Dam. Amen. Click here to see a current community blog from Baldwin Hills. These pictures are horrific. "We Don't Know Where They're Going!" Click here to watch the video and read the CBS (Dallas/Fort Worth) Channel 11 news story. FORT WORTH (CBSDFW.COM)-[...]Fort Worth Mayor Betsy Price, who has been working to position the city as a shale gas capitol, said any struggles for a business are concerning, but she doesn’t think they’re permanent. "I think it goes with the cyclical turn in the economy and the lower gas prices and I believe it’ll come back," she [Betsy Price] said. Texas Railroad Commission of Texas shows a permit (click here) for a well on the Pate Unit near Cresson, TX. See the comments here on BlueDaze for a discussion about the well's location. The Pate Foundation is a non-profit 501(c)(3) corporation. Our Mission is to advocate for and develop affordable housing communities, increase the access to four year educational institutions for the lower income communities we serve, effectively enhancing the quality of life for all. 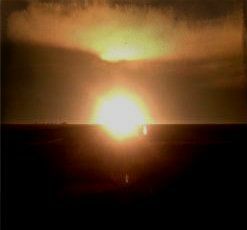 GRAY COUNTY, TEXAS -- Many across the Panhandle were awakened early Wednesday morning by a massive orange haze. That orange haze, according to the Gray County Sheriff's Office, was a large fire on a natural gas pipeline. [...]Officials closed down a portion of the highway for nearly two hours as firefighters battled the blaze, authorities said. The Natural Gas Pipeline Company of America owns the pipeline, which was shut down shortly after the explosion, company spokesman Joe Hollier said in a news release. The business has two major natural gas pipelines that stretch to the Chicago area. And just a reminder ~ click here to read the recent General Accounting Office's Report on federally "unregulated" gas gathering pipelines in the United States of America.